16 years of expertise writing resumes, cover letters, LinkedIn profiles, providing interview career coaching to help clients worldwide. One of the biggest challenges in writing an oil and gas resume is getting the attention of a recruiter or hiring manager immediately. As a resume writer, I know how important it is to convey relevant information hiring managers are looking for quickly. You need to communicate your related skills in the energy sector for the position available before they move on to the next job applicant. This can be done through effective use of keywords, clean and simple formatting, and sections that highlight the exact qualifications the company is looking for. Learning how to write an oilfield resume will save you time on your job search. Read and implement the top oil and gas resume writing tips below. These strategies include keywords by job title to ace the creation of your resume and land you that dream job in the oil and gas industry. If you are looking to transition out of the oil and gas field, you will need to take a different approach when writing your career change resume. To ensure you get contacted for the position you are applying for, make sure to include your full name, phone numbers (home and/or cellular), and email address. Double check to make sure all the information is accurate. If you have a LinkedIn Profile, add that link as well. This is a great way for potential employers to see just how qualified you are for the position and how you present yourself in the professional online community. Next, outline some details and characteristics that will show the recruiter your valuable skills and how you have developed them throughout your career. Remember to write this in the third person, there should be no “I”’s in your resume summary. Objective resume statements are no longer “in”. Instead, include a title at the beginning of your resume that reflects the position you are applying. Examples: ( Power Engineer, Plant Operator, Plant Foreman, Operations Manager, Oilfield Operator, Site Supervisor, etc.). The position you are applying for is your objective. Let your professional profile do the talking for you. A lot of positions in the oil and gas industry will receive many applicants. These companies may rely on applicant tracking systems to weed out applicants before sending them to an actual person to review. An excellent way to increase the chance that your resume will surpass this system is to include keywords. The area of strength section directly after your professional summary should list your core competencies. These are your areas of expertise and will include 10-12 bulleted points that indicate your skills as they apply to the position. Read and analyze the oil and gas job posting to identify some of the keywords the company is interested in and ensure they are relevant to the skills and expertise you exhibit. Some examples are: Contract Negotiation, Project Engineering, Regulatory Compliance, Health and Safety, Technical Writing and Reporting. Depending on what position you are applying for, a key oil and gas resume writing tip is to include relevant keywords. If you are having difficulty finding what characteristics and experiences the company is looking for, simply look at the posting itself. Most likely you will uncover several keywords that are repeated and apply to your own experience. If you wish to uncover more keywords to include, look at the company website, similar job postings, or the LinkedIn profile of a professional in that position. Double check the job posting to ensure that you have the same certifications that are listed for the position you are applying for. This is the perfect opportunity to relay to potential employers that you have the required certifications, trade licenses, and ability to operate particular equipment. This is the section of your resume that shows potential employers what kind of employment history you have and if you have been promoted within your positions. Often, recruiters compare this section with other candidates so make sure to keep your descriptions accurate and do not exaggerate. In paragraph form, describe your general job description. Next, you will want to include a list of about 3 accomplishments you achieved in each position. Increased productivity by reformatting the preventative maintenance schedules. Promoted from Driller to Rig Manager by exercising several years of dedication and demonstrating hard work and dependability, mentoring and leadership, and a high degree of professional development. If you are a recent graduate, you may want to focus on your internships, summer jobs, and work experience. The most effective way to complete this section is to focus on your transferable skills and leverage the experience you do have within the industry. If you are well seasoned in the oil and gas industry, it is common to only include the three most recent positions held or only go back about ten years, unless the posting specifically asks for a particular number of experienced years. If you have more experience than required, you may list them without descriptions after your most recent jobs. 9. Experience or Education First? If you are a recent graduate or do not have at least one year of relevant work experience, consider putting education before work experience; otherwise, it may be more relevant to list your professional experience first and have education and training towards the end of your resume. This is a part of the resume that may or may not be included. Volunteer experience is a great way to gain necessary experience if you aren’t able to land an official job, or it may be a way to hone in on developing valuable industry skills. Include a section on volunteering only if it is relevant to the position you are vying for. It may be necessary to describe your positions using transferable skills relating to your desired job, glean words from the job posting and company website to ensure this section does not get overlooked. Since many oil and gas employees work under contract, you may consider adding this section to your resume. This is where you would list between 5 and 10 contract positions. Do not go into great detail in this section, but rather state some of your most important accomplishments in those roles. A typical oil and gas resume should be no more than 2 pages in length. If you are looking for an entry-level position and have recently completed your education, a one-page resume may be more suitable. If you need extra length, you can always change from a paragraph format to bullet points. For example, in your professional profile, instead of describing your expertise with 5-6 sentences, divide them into bullet points and highlight important words within each point. Another oil and gas resume writing tip to increase length would be to include sections throughout where you can showcase your experience that much more. Adding in contract work or relevant volunteer experience will help you get to the desired length. Make sure any information you add remains relevant to the position you are vying for. A simple, accomplishments-based resume is the way to go when designing an oil and gas resume. Keep your qualifications and experience as the focal point. It isn’t necessary to add too much color or font types and sizes. Keep font consistent throughout the resume and bold or italicize your name and section headers. Those looking for the best candidate for the job will surely appreciate this clean and well-presented resume style. Another section that should be omitted is the line stating that you do have references if they require them. Most likely, the recruiter will specifically ask you for references. However, if the job posting states that references are required, create a separate page with contact information and current positions to attach to your application. The most effective way to get the interest of the hiring manager is to formulate your resume to fit each posting you apply for. Use specific keywords as per postings and ensure that you mirror the wording, not copy it word for word. Make sure that if they are looking for someone who exhibits “attention to detail” that you don’t overuse the word “diligent”, for example, as your resume may be scanned and “diligent” may not be a word the applicant tracking system recognizes. Employers want to know what you have done in your previous jobs and how you have benefited your employers. One of the most effective ways to uncover and showcase your accomplishments is to build your resume using the CAR method: Challenge, Action, and Result. When describing your accomplishments in the previous experience section of your resume, think of a challenge or task, the strategy you employed to handle it, and your quantifiable results. Decreased roadside breakdowns 20% by performing more frequent detailed inspections to ensure top performance capabilities. Provided support by performing and leading daily operational tasks to enhance production that kept in line with company standards and policies to ensure the job was completed on time and under budget. Maintained compliance with all safety, quality, and environmental procedures and controls in the division to guarantee employee safety, legislative compliance, and delivery of high customer experience. When describing your relevant accomplishments, ensure you do so by using numbers as much as possible. Modified the rig to boost performance, resulting in a decrease in move time from 1.5 days to 1 day. Reduced lost time accidents 25% by implementing extensive job and safety training that facilitated team’s ability to effectively identify, isolate and eliminate work hazards. Increased production by more than 15%, eliciting positive feedback from oil companies. Ensured integrity of $10.5M oilfield equipment to avert downtime and maintained visual aspects of oilfield site to promote cleanliness and enhance the safety of the crew. Successfully maintained zero incident record by completing extensive training regarding safety standards. Take the time to review this oilfield consultant resume sample. It is of utmost importance that once you have completed writing your oil and gas resume that you proofread it. Proofreading does not simply mean spellcheck. Thoroughly read through your finished product, and have a friend do the same, to double check grammar, punctuation, and general formatting. Your efforts will not go unnoticed by your potential employers so make sure that this is not a step you skip! Whether you are applying for a position at one or many companies, it is important to research what the company is about. Look on their website to gain a better understanding of their mission statement, what possible keywords they use, and to gain a general insight into their corporate culture. With the information you uncover, you will be able to tailor your resume to the style of the company and once you land that interview, you can get a leg up on the competition by relaying your knowledge on their company specifically. Learn all you can about finding and applying to oil and gas companies to save time on your job search. 20. How to Start Your Resume? 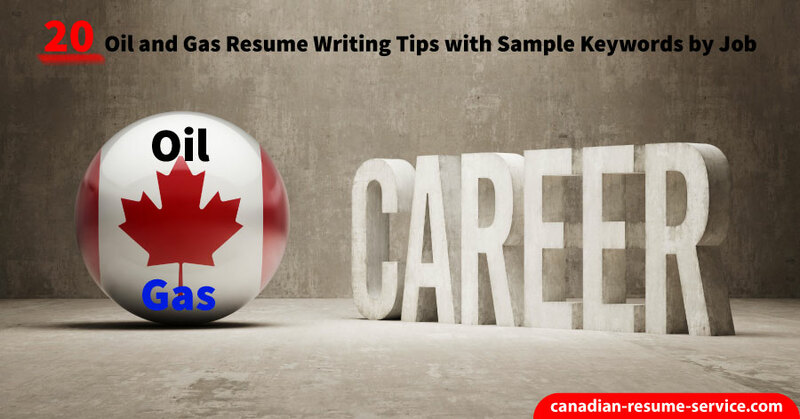 After reading these best oil and gas resume writing tips, do not become overwhelmed. Take it one step and one resume section at a time. First, get the basic format down with inputting your headers and basic information. Include contact information, education, licenses, and certifications. Next, work on the professional experience section and finally the professional summary and areas of expertise. Complete your work experience section first because you will be able to integrate specific keywords from your experiences into the first two sections of your resume. Your previous jobs will hold more specific information while your summary will be more general. The most important thing to remember when writing your oil and gas resume with our professional resume writing tips is to include keywords appropriate to the industry. These keywords could include (Quality Control, Horizontal and Directional Drilling, Field and Rig Operations, Troubleshooting, Project Scheduling, etc.). While each job within oil and gas can have the same keywords, ensure that you also include those specific to the position you are vying for and reflect your skills. No need to exaggerate. Simple, clean formatting will go a long way to creating a professional looking resume that will catch the eye of the recruiter. This style or format will scan easily through applicant tracking systems. Once you have proofread your resume, make sure you are attaching a cover letter that aligns with the position you are applying for by including the company name and contact information. Would you like to hire Candace to write your oil and gas resume and cover letter to apply confidently to oil and gas companies? Please call toll-free 1 877 738-8052 or send an email. Get Free Job Search Help Delivered to Your Inbox! Copyright © 2004–2018 | Canadian Resume Writing Service | All Rights Reserved.